Luigi Presicce Luigi Presicce born in Porto Cesareo (Lecce) in 1976, lives and works in Florence, Italy. He made his debut in Milan at the end of the ’90s, creating hyper-realistic paintings. Since 2007 he has started working with performance, bending the most theatrical and bodily aspect of this language to a reflection on painting and pictorial composition. 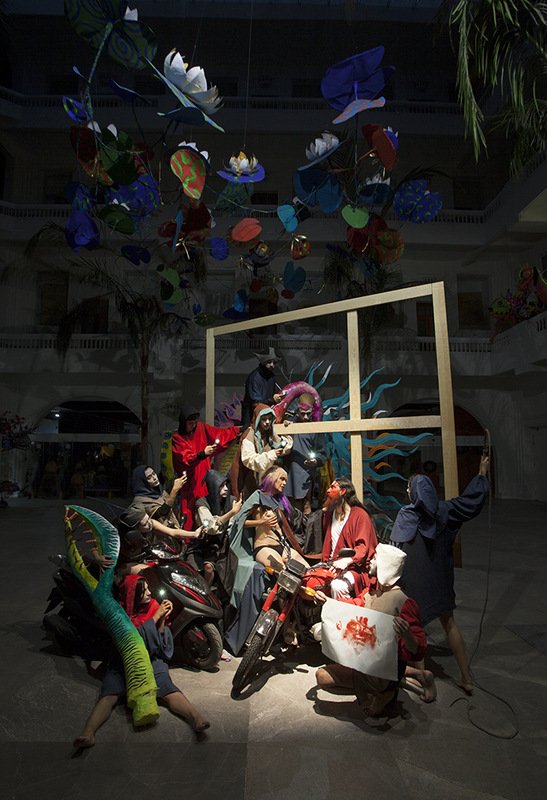 In 2012 he began Le Storie della Vera Croce, a cycle of nineteen performances created as a single monumental work. He founded Brownmagazine and Brown Project Space in Milan (2008), ArchiviAzioni in Lecce (2011), Fondazione Lac o Le Mon in San Cesario di Lecce (2016) Scuola di Santa Rosa in Florence (2017). He won the Epson Art Prize, Fondazione Antonio Ratti, Como (2007), The Emerging Talents Award, CCC Strozzina, Palazzo Strozzi, Firenze (2011), Long Play, MAGA, Gallarate (2012), Icona, ArtVerona, Verona (2014), Level 0, ArtVerona, Verona (2015). He was one of the finalists of Moroso Prize of Contemporary Art, during both the 2nd and the 7th edition with a special mention, Milano, Londra, New York (2011, 2017), Maretti Prize, 2nd edition with a special mention, Avana (2014), VAF Foundation Prize, 7th edition, Germany (2016) and Anna Morettini Prize, Fondazione Etrillard, Parigi (2017).